Since 2013, OVERDRIVE & Audi have embarked on an adventure to Ladakh every year to HOIST THE NATIONAL FLAG on the roof of the world! Join us yet again, on the 6th edition of the Independence quattro drive. Rann of Kutch is a Dream Driving Destination. Join us in exploring this land of the Rann (Salt Desert) and Kala Dungar (Black Mountains). Sign up for the 'Rann of Kutch Experience' now. It's a drive you will cherish and remember. Since 2013, OVERDRIVE & Audi have embarked on an adventure to Ladakh every year to HOIST THE NATIONAL FLAG on the roof of the world! Join us yet again, on the 5th edition of the Independence quattro drive. 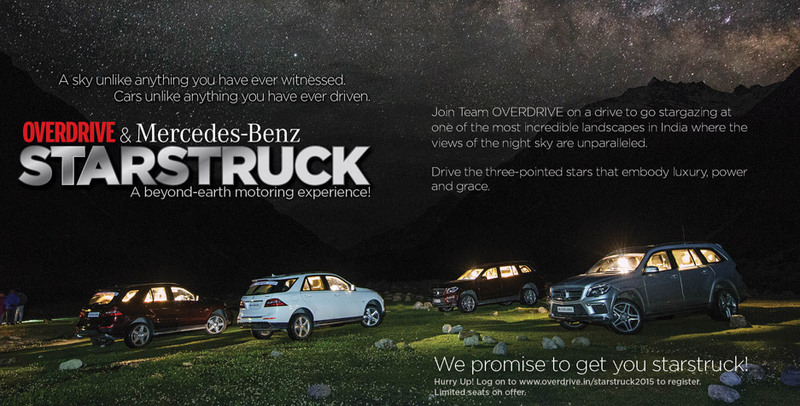 Join Team OVERDRIVE on a drive into the great outdoors, far from the city, to go stargazing! Gaze at the stars from the iconic Hanle observatory nestled high in the Himalayas. 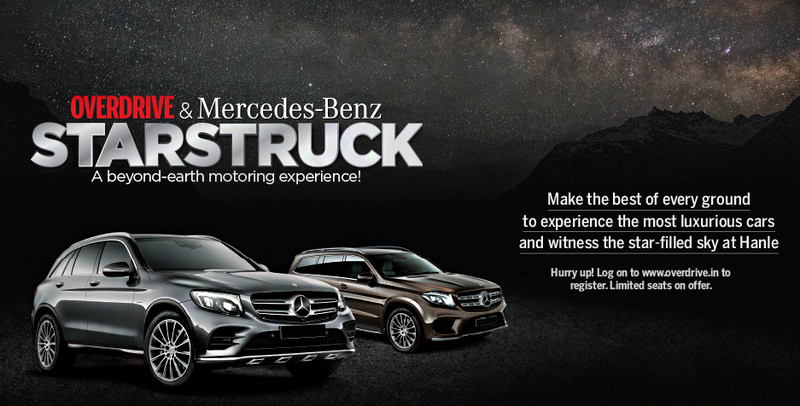 To get there, drive the three-pointed stars that embody luxury, power and grace. Since 2013, OVERDRIVE & Audi have embarked on an adventure to Ladakh every year to HOIST THE NATIONAL FLAG on the roof of the world! 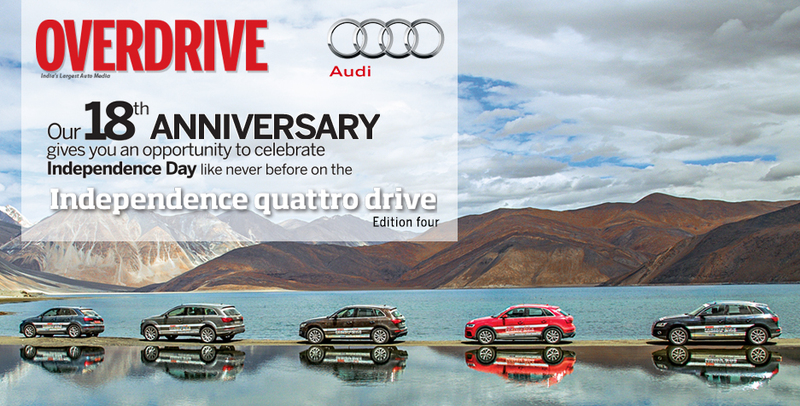 Join us yet again, on the 4th edition of the Independence quattro drive. 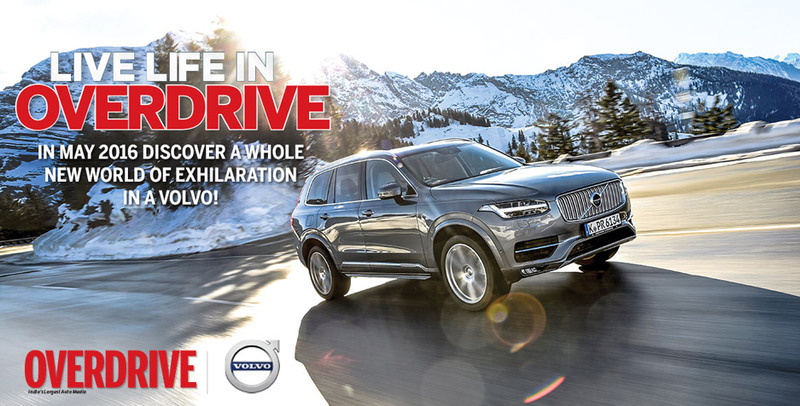 In the month of May, OVERDRIVE and Volvo Cars India will take you on an epic journey through the lower Himalayas exploring the subtlety of nature and the magnificence of the new generation of Volvo cars. 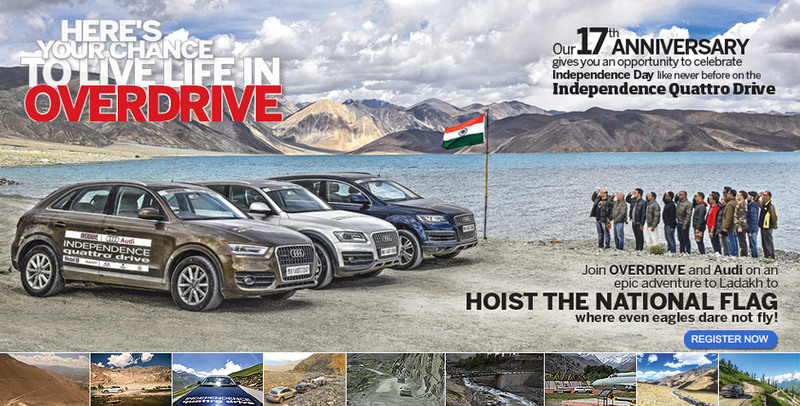 Join Overdrive and Audi on an epic tour to Manali to Leh the national flag on Independence Day. 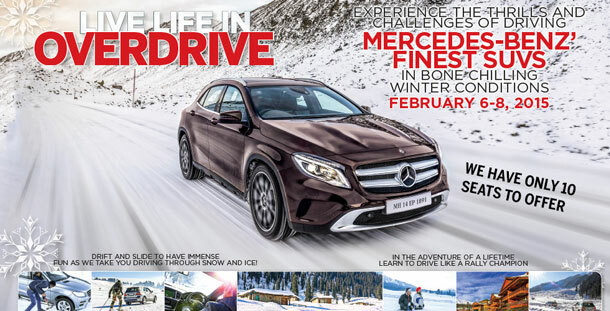 Experience the thrills and challenges of driving some of Mercedes-Benz' finest SUVs in bone chilling winter conditions. This year, the event returns with even bigger and better excitement than ever before. 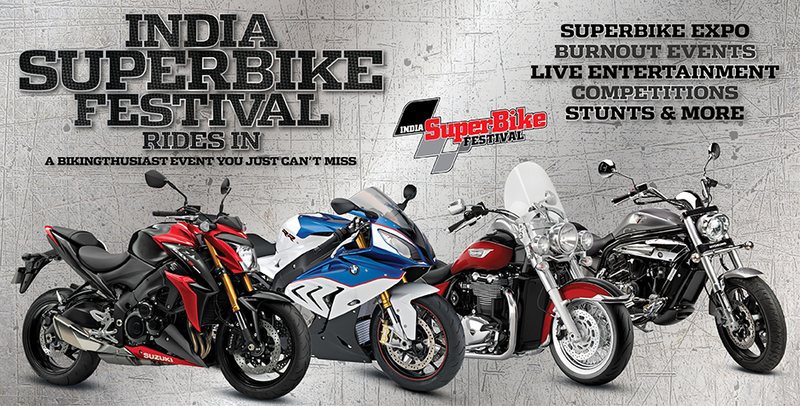 With as many as 1000 big motorcycles expected to arrive, more activities, more shows, more food and most importantly, more friends to hang out with, bench race with and spend a motorcycle-fuelled weekend away from home. We are heading out on Mahindra Centuros for a ten-day ride that will go from Chandigarh to Srinagar stopping at many mind-blowing places including the famous Khardung La. Join OVERDRIVE and Mahindra on the highest roads in India, for the ride of a lifetime. For nearly 19 years it has been our endeavor to bring you to some of the best riding and driving stories in the world. Things that we considered routine were heaped praise on by you dear readers who wished to emulate the same, in most cases as a part of Team OD. These requests inspired us to introduce the Live Life In OVERDRIVE experiences. We love to get out of our confined spaces, drive across the length and breadth of India and experience everything to our hearts content. We’ve enjoyed seeing the glorious country we live in as road trippers, and our endeavor through Live Life In OVERDRIVE is to share those very experiences with you not just through our words and videos. We’d like you to get into the driving seat! Bear in mind these are not freebies we are handing out, but just the fact that the response has been so encouraging drives us to provide you with more such opportunities. So come with us as we drive up the highest mountains or dance in the snow. Help us improve relations with our neighbors or look past the stars for new ones. Be a part of our search for blue blood or help us seek exits out of dense forests. As part of team OD you are going to be a central part of an epic story! There is a lot of sleepless nights involved, driving cars you’d seldom have the opportunity to and living in landscapes that will make you profusely thank the gift of sight! OVERDRIVE is more than just your average news breaker, road test, comparison and feature engine! Live Life In OVERDRIVE just proves it!